Participants of the citizen journalism project Amigos de Januária [pt] are carrying on the mission to monitor the local government of Januária, in Minas Gerais, Brazil. The project, a Rising Voices grantee, consisted of a seven-week training to youth on principles of journalism and use of government data to make their city a better place. Você já se consultou em uma cela de presídio? É isso mesmo, em São Joaquim os pacientes estão sendo atendidos em uma cela do prédio construído para sediar o Posto Policial do Distrito supracitado. Como o prédio da Unidade Básica de Saúde está caindo aos pedaços e para prevenir possíveis acidentes, o médico optou por mudar o atendimento para o prédio do Posto Policial. Have you ever been to a doctor inside a prison cell? 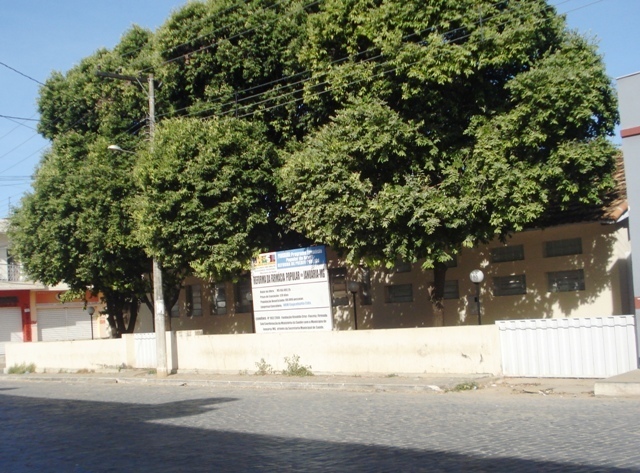 That's right, in the district of São Joaquim, patients have their medical appointments in the cell of a facility designed to be the district's Police station. However, since the healthcare facility is falling apart, the doctor decided to transfer the clinic to the Police station to avoid accidents. 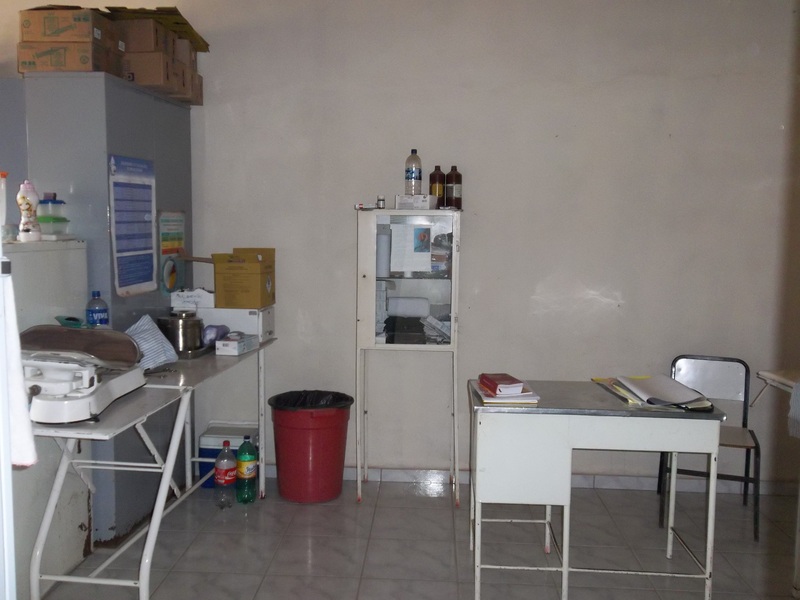 Photo of the improvised healthcare unit, posted on the Amigos de Januária blog and used under a Creative Commons license. 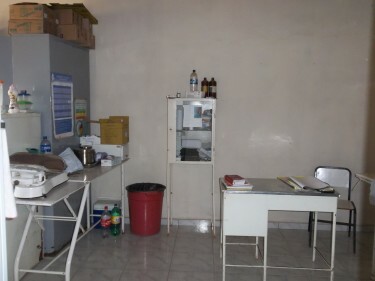 The healthcare unit was transferred to a police station that was closed three years ago, and since then there has not been a government initiative to solve this. However, this transfer was made possible due to another problem: there are not enough police officers in town to reopen the police station. He adds the district is “very dangerous, with a high delinquency rate and intense drug use”. Por que as obras não estão em andamento? E se a reforma já foi concluída, por que o prédio não está sendo utilizado? A expansão do Programa visa oferecer alternativas de acesso à assistência farmacêutica, com vistas à promoção da integralidade do atendimento à saúde. Why aren't the construction works taking place? Or, if the facility's renovation work has been concluded, why isn't it open? The program's expansion aims to offer alternatives to pharmaceutical assistance, in regards to a complete promotion of health care. Photo of the People's Drugstore posted on the Amigos de Januária blog and used under a Creative Commons license. In front of the building, a billboard provides information about the construction company, cost, and the deadline of 120 days, although it leaves out mandatory information about when renovation works began. Track of National Highway 479 leading to the Mountain of the Araras, distant 1 km from the district of São Joaquim. Photo posted on the Amigos de Januária blog and used under a Creative Commons license. 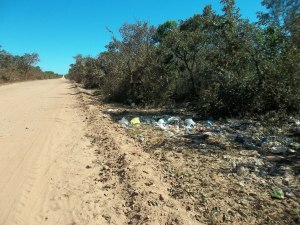 É muito comum a gente matar cobras e ratos aqui por causa desse lixo ai, junta ratos dai vem as cobras por causa dos ratos. Too often we kill snakes and rats here because of that garbage. Rats come and then snakes appear because of the rats. 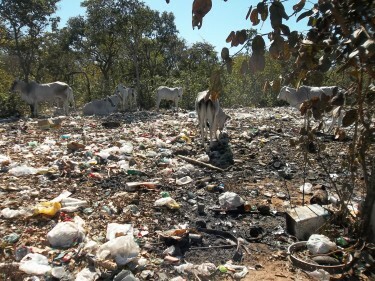 Cattle on the dumpsite. Photo posted on the Amigos de Januária blog and used under Creative Commons license. […] quem garante que estes bovinos não estão contaminados por alguma doença e ainda se você mesmo não já comeu carne de bovinos dos quais se alimentam daquele lixo. Vamos ver quais providências serão tomadas pela adimistração municipal sobre determinado assunto ja que estamos em ano político [em referência às eleições municipais de outubro]. […] who can ensure the cattle are free from contamination with a disease or that you haven't eaten the beef from a cow fed by that trash. Let's see the measures the municipality administration will take on this matter since this a political year [referring to the October municipal elections].